Susan San Martin has over 20 years of diversified communications and marketing experience with demonstrated success in addressing diverse internal and external organizational needs across a wide range of industries. She is a highly-regarded talent acquisition and executive recruiting professional with broad and deep experience in aligning client needs with candidate expertise. An enthusiastic, results-oriented leader and team member, she believes that two-way, comprehensive communication is the cornerstone for all successful relationships. Most recently, Susan was a Vice President and Executive Recruiter with The Repovich-Reynolds Group, a retained executive recruiting firm, where she was a senior recruiter for mid- to senior-level communications and marketing searches. A sampling of the clients with whom she has partnered include: DaVita Inc., Dell Inc., Western Union, Inc., Lowe's Companies, Inc., ProLogis, Cardinal Health, Inc., The Blackstone Group, and Watson Land Company, among many others. 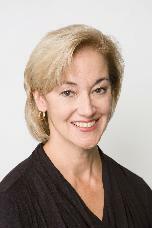 Prior to commencing her successful career in executive search, she was Director of Vertical Marketing for ARAMARK Uniform Services, where she was responsible for the development of vertical marketing programs that identified and capitalized on penetration opportunities in growing industries. Before joining ARAMARK, she was a Senior Vice President and Director of Corporate Communications for RealEnergy, Inc., an energy start-up that developed onsite distributed generation systems for commercial real estate properties. At RealEnergy, she was responsible for the complete development of full-scale communications program as well as other key infrastructure needs such as Human Resources and Client Relations. Susan started her focus on the energy sector with her tenure as a Senior Communications Manager with the California Power Exchange, a state-mandated not-for-profit organization responsible for market operations for California's then-deregulated energy industry. With the Power Exchange's Settlements Group, she developed a comprehensive customer communications program designed to simplify complex settlement issues and ISO-driven market changes. Earlier in her career, she was a Vice President with Everest Properties, where she was responsible for communications, marketing, and operational activities for this boutique NASD Broker/Dealer. She was also the Broker/Dealer Services Manager with Public Storage, Inc. a leading REIT and syndicator of real estate limited partnerships in the mini-warehouse, QSR, and marina industries, where she was responsible for communications and marketing activities to the broker/dealer community and provided marketing support to a nationwide network of product wholesalers. A native of Brooklyn, New York, Susan attended St. Joseph's College and Syracuse University School of Law. She is married to Miguel San Martin, a Chief Engineer of Guidance and Control Systems at NASA's Jet Propulsion Laboratory. They have two daughters and reside in Southern California.